Duct cleaning is not new. However, it has become more popular over the past few years. You may have noticed an increase in the number of professional companies offering these services in recent years. Is it a scam or is it really worth it? Air duct cleaning involves the cleaning of the intake, return and supply ducts of your HVAC system. A professional air duct cleaning service will make use of specialized equipment such as vacuums, blowers and brushes to clean these ducts. The process also includes a thorough cleaning of the housing, motors, grilles, registers, fans, coils and air handler of the system. While duct cleaning may seem unnecessary to some, it is actually quite important in ensuring better indoor air quality. HVAC systems are notorious for collecting a variety of contaminants including mold, bacteria and fungi. This in turn reduces the quality of air inside the home. Poor air quality can result in health problems whether in the domestic or commercial setting. When dust accumulates in the ducts, your HVAC system will have to work harder to provide optimum results in cooling and heating. This means that the system will consume much more energy to get the same results. This translates into increased costs for you. 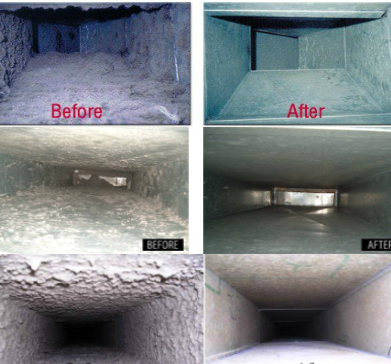 Investing in air duct cleaning service ensures that you get rid of any accumulated dust. Your HVAC system will thereafter work at optimum and consume less energy. If you notice a layer of dust almost immediately after cleaning, you may need to call in an air duct cleaning service. You may also notice dark lines around open vents or around light colored upholstery and carpets. All these are signs that there is fine dust being circulated in the indoor air. Having your HVAC system cleaned will reduce the amount of cleaning work you do by reducing the amount of dust circulating in the air. Normal occupation of a building results in the generation of air contaminants such as chemicals, pollen, dust, bacteria and fungi. These contaminants are drawn into HVAC systems and are re-circulated into the indoor air once again. Recirculation of indoor air can result in the buildup of contaminants in the ductwork. These contaminants are circulated in indoor air and may result in health problems amongst occupants of the building. Some serious problems that may occur include autoimmune disorders, allergies and respiratory problems. Air duct cleaning will ensure that your duct work is sanitized and cleaned. With all harmful agents out of the way, fresh air can circulate. HVAC experts will tell you that most system failures are caused by the accumulation of dust and dirt within the system. Accumulated dust and dirt causes the system to work harder to achieve optimum results. This can place strain on various parts of the system such as the motor and fans resulting in premature breakdown of the system. Replacing parts, repairing the system or replacing the entire system can be quite costly. 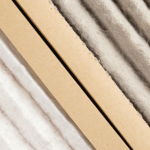 This can all be prevented by investing in air duct cleaning service every once in a while. Lint is quite popular in the construction of furniture. A lot of the furniture found in homes and commercial buildings includes lint based fabrics and materials. Lint from this furniture can settle in the ducts of HVAC systems. This poses as a fire hazard as the lint can overheat and ignite a fire within the ducts. This type of fire will spread quickly throughout the building. Having your ducts cleaned will ensure lint is removed and your home remains safe. Ensure that your HVAC system is cleaned regularly so that you can enjoy the benefits of clean air ducts. 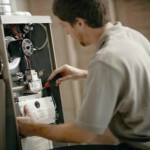 Are Furnace Repairs Tax Deductible? Do You Make This Mistake When Dusting Your Home?